Everyone must try online slots in the UK such as this! 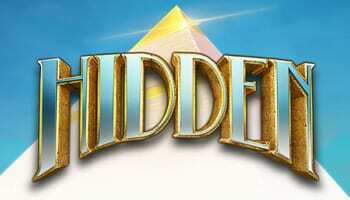 Hidden is the all-new game developed by Elk Studios and will certainly be one of the new instant favourite games. After bringing out their first gaming instalment in 2014, Elk Studios have managed to create a range of statistical models masked with stunning graphic art – a true collaboration between art and maths. With their unique set of rules, this developer has redefined the video slot genre with games such as Taco Brothers and Bloopers. Seeing thousands of players enjoying this developer’s portfolio every second, around the world, it is easy to see why this Stockholm based studio has found pride in every one of their diverse titles. You can check out our slot games online from Elk Studios here. Head to ancient Egypt with Professor Taylor and his nephew Benjamin to discover secrets like no other. In the style of a 5-reel video slot, Hidden has many mysteries to be uncovered, each more fruitful than the last. With a jackpot of up to x2, 150 each spins stake you, yourself will feel like ancient royalty. Visit our list of top slots that players can try to discover more and this is only one of them. The game will begin by players setting their initial stake, editable before each new spin this game is playable from £0.20 to £100 per spin – meaning this game has a potential for all gaming styles. To make the most out of each round try and trigger the available bonuses, Re-Spins, Free Spins, Sticky Wilds, Expanding Wilds and Cascading Wins are all feature that helps make up the 178 possible win methods available. Taking strong influence from the Pyramids of Giza, go along with the historian Professor Taylor and his nephew as they search for the golden top-stones. Many of the symbols are reminiscent of this adventure, including the Professor, Benjamin, the Camel the rode in on and the ancient Sphinxes. Along with these symbols, players should expect to find stylised playing card symbols 10, J, Q, K and A, filling out the reels further. The most sought after symbols within Hidden are the Scatter and Wild symbols. The secret features within Hidden begin with the Flashback Respins. Randomly activated during any base game spin players can be rewarded with 3 Free Spins with 1, 2 or 3 of the central reels being completely covered in Sticky Wild symbols. Entering the Treasure Room Free Spins could potentially win player some of the largest in-game amounts. To access this room, locate 3 or more magnifying glass Scatter symbols on any point of the reel – this will grant players 5 Free Spins with 1 symbol being randomly chosen to become the expanding symbol. The symbols will expand to create a 2x2 block, connecting to any additional matching symbols. All other symbols will collapse and leave the reel, allowing for more symbols to drop into place – winning big will depend on the randomly selected expanding symbol. If the Scatter symbol appears at any point during the Free Spin round an additional Free Spin will be added to your total. 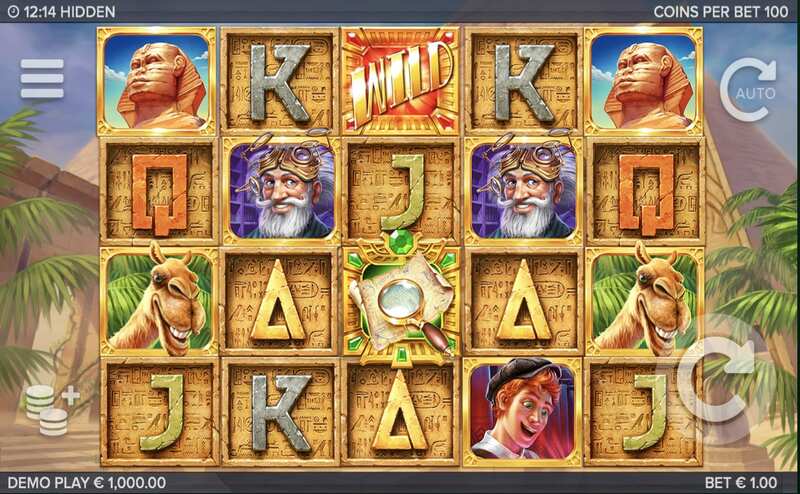 Despite ancient Egypt is a common theme within modern day video slots, Hidden adds in an entire range of new play features to separate it from the crowd. Keeping with the title of the game, many of the hidden features can prove to be fruitful for the everyday gamer especially with the maximum payout of over x2000 available from a single bonus round.